KARMA what goes around comes around. Keep your circle positive. 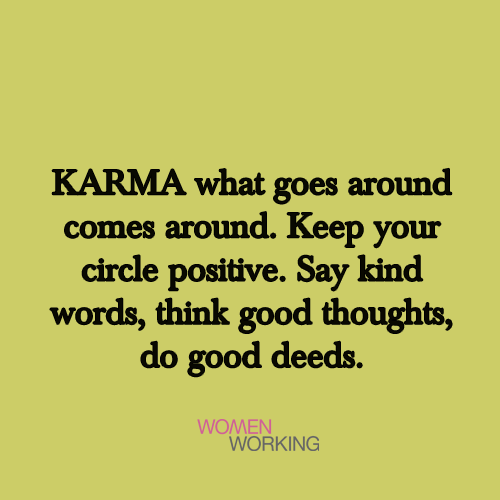 Say kind words, think good thoughts, do good deeds.